A behavior based safety program (BBSP) is a process by which organizations raise awareness about safety issues by encouraging employees and management to evaluate their own behaviors and communicate with one another about safety issues. This is most effective when the safety team includes management as well as employees. Here are six tips on how to establish a behavior based safety program within your organization to assure that it is effective. Evaluate the rate of injuries or accidents, the reasons for the occurrence of the event and potential solutions. Reviewing past incident and accident reports as well as other pertinent safety data such as informal interviews with employees and safety meeting minutes is a good place to start. The idea is to pinpoint the most critical safety issues and how they could have been prevented. 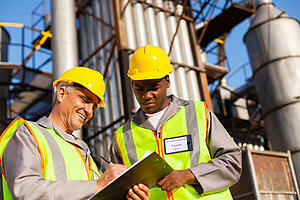 Once behavioral based safety issues have been defined, they can then be measured and evaluated in a controlled manner. The checklist should consist of proper procedures and safety protocols that should be taken for each item. By observing employees in the process of the task, the safety team can evaluate each step to determine what improvements can be made. Measurement of the observed behaviors should be broken down into two distinct parts. First, the frequency of safe behaviors and then a count of the unsafe or risky behaviors should be measured. Once this process is completed, team leaders are better able to administer corrective actions as well as reward positive behaviors. Having an action team in place to do observations on a weekly or monthly basis may not give the whole story. Therefore, it is important to give employees the opportunity to observe, evaluate and measure their peers’ behaviors on a daily basis as well. This can affect not only the behavior of the person being observed, but also the observer by allowing them to recognize safe and unsafe behaviors in others. Once an observation has been completed, it's important to communicate with the employee in a timely manner. Waiting for a month to respond to an unsafe behavior could result in an accident that could be prevented. On the other hand, encouraging safe practices in a timely manner assures the behavior will continue. Knowing what needs to be improved is just one part of the equation, you should also set goals for improvement. Each employee should be aware of what behaviors they need to improve to assure that the goals are met. For example, if only 75% of employees are wearing protective gloves, the goal would be to raise that number to 100%. Behavior based safety programs give the opportunity to observe employees and then to offer feedback that will improve the safety culture within the organization. This type of environment is one of learning and positive reinforcement, rather than one of negative consequences.